The history of Basel begins with ancient Celtic communities around 2,500 years ago, followed by the Romans just a few centuries later, who developed nearby Augusta Raurica as an important Swiss settlement. Located just 20 km / 12 miles to the east of the present-day city, on the southerly side of the River Rhine, Augusta Raurica remains an important archaeological site and is now a popular open-air Roman museum, with a well-preserved amphitheatre. The earliest mention of the city's former name 'Basilea' is from ancient documents dated to 374 BC. Basel has always enjoyed an enviable location alongside the River Rhine, which brought it much wealth. For many, many years, the city owned the only bridge to span this river, further adding to its power and standing. The year of 740 AD was an important one for Basel, since it became a diocesan city. Its increasing importance in Switzerland witnessed constant growth, with a steady base of tradesmen building houses and an assured solid future. Construction of the cathedral commenced roughly 1,000 years ago, in 1019, at the request of Henry II, Holy Roman Emperor. The iconic Basler Münster is still standing today, serving as a symbol of the city's lengthy and successful past. Building of Basel's famous medieval walls followed, along with the all-important bridge across the Rhine, which was built here in 1225. Various guilds were also established at this time and the local markets thrived. The city enjoyed the 'good times' that followed for the next 100 years or so. The middle of the 14th century marked a troubled time for the city. Roughly half of all the residents living in Basel were wiped out by devastating plague epidemics. Then, just as the city was beginning to pick itself up and move forward, a catastrophic earthquake arrived, on 18th October 1356. This was actually one of the most significant earthquakes ever to have occurred in Central Europe and the damage was great. Basel was virtually destroyed, with damage extending across the Swiss border into neighbouring France and Germany. The latter part of the 14th century was a time of reconstruction for the city and it slowly recovered from the earthquake, with new fortifications built to protect its 20,000 residents. In the early part of the 15th century, religion took hold of Basel and it became the spiritual heart of western Christianity. Pope Pius II decreed that a university should be built in the city in 1459, and the University of Basel came into being the following year, being situated next to Petersgraben and the Spitalstrasse. Today, more than 11,000 students are based here and the campus now incorporates the Biozentrum, a leading research institute employing over 400 people. After the Swiss victory at the Battle of Dornach, the famous Treaty of Basel was signed here in 1499, heralding a more peaceful era. 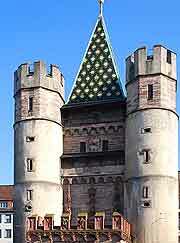 Basel became a part of the Swiss Confederation in 1501 and a local government was soon formed. The Town Hall (Rathaus) was built and in 1529, the bishop was forced to leave, with the city guilds then assuming power after his departure. By the middle of the 16th century, refugees were arriving from both France and Italy, bringing with them many different skills and talents. A new trade in silk began and continued right into the 17th century, when silk ribbons became a major export. 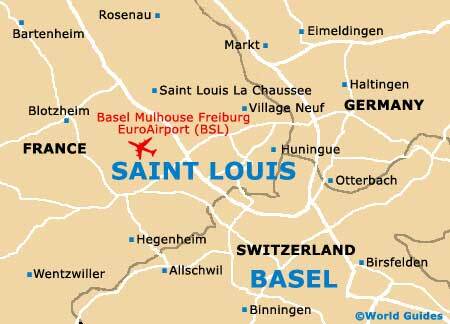 Protestants chose to migrate to Basel from many different parts of Europe, and this was soon a very cosmopolitan city. Towards the end of the 18th century, France, Prussia and Spain were enduring a long war. In the year of 1795, the important treaty named the Peace of Basel was signed here, in neutral ground, between the leaders of these three countries. France soon became a dominant European power and the French army began to occupy Switzerland, briefly forming a central state. This marked the rise of Napoleon Bonaparte. Following much in-fighting between adjoining Swiss cantons, Basel witnessed a new chapter in its history. Switzerland began to build its very first railway in the 1840s - in Basel. As the railway lines grew and transport connections improved, the city began to experience an unprecedented time of growth. The population boomed, trade increased and many new beautiful buildings were created, including a number of museums along the Augustinergasse. During the First World War, Switzerland bravely chose to remain neutral and as a result, Basel was spared from fighting in the trenches. The country also chose not to participate in the Second World War, although it was bombed heavily, and its relations with surrounding countries suffered as a result of it not 'taking sides'. In 1946, the Basel Mulhouse Freiburg EuroAirport came into being and a new modern era dawned, with cross-border unity once more. Over the centuries, Basel has been seen as a place where leaders met to end their disputes. The Basel Convention was established in 1989, presenting ways to reduce and oversee the movements of any hazardous waste between different countries. Tourists wishing to learn about the history of the city should head straight into the Old Town (Vieille Ville), where cobblestone alleyways will lead you to some fine old buildings around the Münsterplatz (Cathedral Square). The lively Marktplatz (Market Square) is a pleasant place to hang out and is still graced by the eye-catching Rathaus.